One thing you may not be aware of is that the lower back pain you’re feeling may actually be sciatic nerve pain. You may also not be sure exactly what causes sciatic nerve pain in the first place. Luckily, there’s a physical therapy team that can help educate you about this form of nerve pain. At SSOR, our team is committed to helping patients find the high-quality physical therapy they need. However, we also want to ensure you understand every aspect of your condition and the therapy we recommend for it. This is why our team will always take the time to listen to any questions or concerns you have, and address them so you feel more confident about your therapy process. One topic we can help you learn more about is what causes sciatic nerve pain. In general, your sciatic nerve can be pinched or irritated by several conditions in your lower back, and there are three conditions our team often sees when patients have sciatic nerve pain. 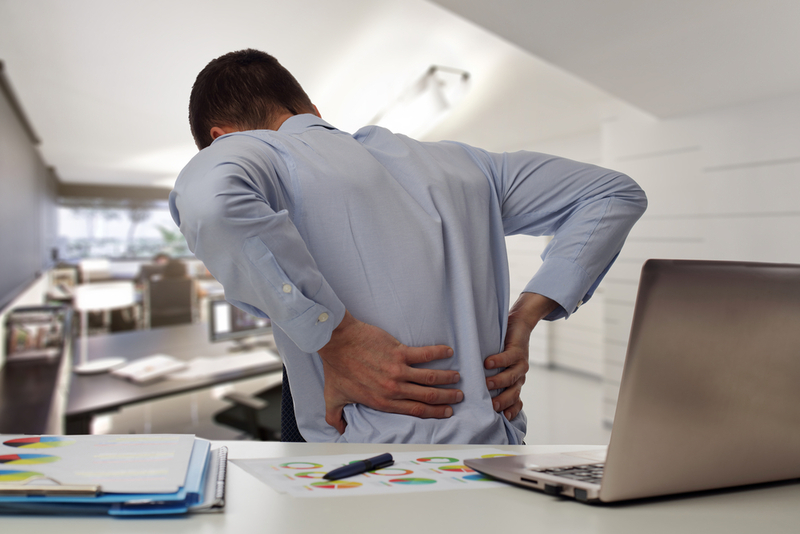 One condition that can cause you to experience pain from a pinched sciatic nerve is a herniated lumbar disc. A spinal disc consists of a cartilage shell with a gel-like interior, and its job is to provide a cushion between the vertebrae in your spine. However, issues like car accidents and impacts while playing sports can cause the outer cartilage of a disc to tear. This tear allows that gel-like disc interior to poke out, or herniate, which may result in pinching or irritation of a sciatic nerve root in your lumbar spine. Degenerative disc disease is a second condition that may cause pain signals to be sent from your sciatic nerve. As you age, there is a progressive amount of wear and tear on your spinal discs. Over time, this can lead to the discs in your spine becoming thinner, and this means they’ll be providing less of a cushion between your vertebrae. The smaller amount of space caused by thinning discs may result in a sciatic nerve root becoming irritated or pinched. A third condition that can cause sciatic nerve pain is spinal osteoarthritis. Spinal osteoarthritis is a condition that results from normal wearing in the facet joints. These joints are positioned at the rear of your spine, and they’re one of the main reasons your spine can bend and flex so much. As you grow older, your facet joints may get worn out in much the same way as your knees or hips do. One issue that this wearing can cause is inflammation that reduces the amount of space available for sciatic nerve roots, and this may lead to irritation or pinching of these nerve roots. If you’re looking for ways to treat back conditions like these, our team at SSOR is here to help. Not only can we help you find out what’s causing your sciatic nerve pain, we’ll also build you a personalized therapy plan designed to reduce your pain and bring you other benefits. All you have to do to get our help is take one easy step.